Maurice Polydore Marie Bernard Maeterlinck (also called Comte (Count) Maeterlinck from 1932; [mo.ʁis ma.tɛʁ.lɛ̃ːk] in Belgium, [mɛ.teʁ.lɛ̃ːk] in France; 29 August 1862 – 6 May 1949) was a Belgian playwright, poet, and essayist who was Flemish but wrote in French. He was awarded the Nobel Prize in Literature in 1911 "in appreciation of his many-sided literary activities, and especially of his dramatic works, which are distinguished by a wealth of imagination and by a poetic fancy, which reveals, sometimes in the guise of a fairy tale, a deep inspiration, while in a mysterious way they appeal to the readers' own feelings and stimulate their imaginations". The main themes in his work are death and the meaning of life. His plays form an important part of the Symbolist movement. Maeterlinck was born in Ghent, Belgium, to a wealthy, French-speaking family. His mother, Mathilde Colette Françoise (née Van den Bossche), came from a wealthy family. His father, Polydore, was a notary who enjoyed tending the greenhouses on their property. In September 1874 he was sent to the Jesuit College of Sainte-Barbe, where works of the French Romantics were scorned and only plays on religious subjects were permitted. His experiences at this school influenced his distaste for the Catholic Church and organized religion. He had written poems and short novels during his studies, but his father wanted him to go into law. After finishing his law studies at the University of Ghent in 1885, he spent a few months in Paris, France. He met some members of the new Symbolism movement, Villiers de l'Isle Adam in particular, who would have a great influence on Maeterlinck's subsequent work. Maeterlinck instantly became a public figure when his first play, Princess Maleine, received enthusiastic praise from Octave Mirbeau, the literary critic of Le Figaro in August 1890. In the following years, he wrote a series of symbolist plays characterized by fatalism and mysticism, most importantly Intruder (1890), The Blind (1890) and Pelléas and Mélisande (1892). He had a relationship with the singer and actress Georgette Leblanc from 1895 until 1918. Leblanc influenced his work for the following two decades. With the play Aglavaine and Sélysette Maeterlinck began to create characters, especially female characters, more in control of their destinies. Leblanc performed these female characters on stage. Even though mysticism and metaphysics influenced his work throughout his career, he slowly replaced his Symbolism with a more existential style. In 1895, with his parents frowning upon his open relationship with an actress, Maeterlinck and Leblanc moved to the district of Passy in Paris. The Catholic Church was unwilling to grant her a divorce from her Spanish husband. They frequently entertained guests, including Mirbeau, Jean Lorrain, and Paul Fort. They spent their summers in Normandy. 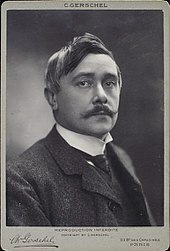 During this period, Maeterlinck published his Twelve Songs (1896), The Treasure of the Humble (1896), The Life of the Bee (1901), and Ariadne and Bluebeard (1902). In 1903, Maeterlinck received the Triennial Prize for Dramatic Literature from the Belgian government. During this period, and down to the Great War, he was widely looked up to, throughout Europe, as a great sage, and the embodiment of the higher thought of the time. In 1906, Maeterlinck and Leblanc moved to a villa in Grasse. He spent his hours meditating and walking. As he emotionally pulled away from Leblanc, he entered a state of depression. Diagnosed with neurasthenia, he rented the Benedictine Abbey of St. Wandrille in Normandy to help him relax. By renting the abbey he rescued it from the desecration of being sold and used as a chemical factory and thus he received a blessing from the Pope. Leblanc would often walk around in the garb of an abbess; he would wear roller skates as he moved about the house. During this time, he wrote his essay "The Intelligence of Flowers" (1906), in which he expressed sympathy with socialist ideas. He donated money to many workers' unions and socialist groups. At this time he conceived his greatest contemporary success: the fairy play The Blue Bird (1908, but largely written in 1906). After the writing "The Intelligence of Flowers", he suffered from a period of depression and writer's block. Although he recovered from this after a year or two, he was never so inventive as a writer again. His later plays, such as Marie-Victoire (1907) and Mary Magdalene (1910), provided with lead roles for Leblanc, were notably inferior to their predecessors, and sometimes merely repeat an earlier formula. Leblanc, clearly, was no longer an inspiration to the playwright. Even though alfresco performances of some of his plays at St. Wandrille had been successful, Maeterlinck felt that he was losing his privacy. The death of his mother on 11 June 1910 added to his depression. In 1910 he met the 18-year-old actress Renée Dahon during a rehearsal of The Blue Bird. She became his lighthearted companion. After having been nominated by Carl Bildt, member of the Swedish Academy, he won the Nobel Prize for Literature in 1911, which also served to lighten his spirits. By 1913, he was more openly socialist and sided with the Belgian trade unions against the Catholic party during a strike. He began to study mysticism and lambasted the Catholic Church in his essays for misconstruing the history of the universe. By a decree of 26 January 1914, his opera omnia were placed on the Index Librorum Prohibitorum by the Roman Catholic Church. When Germany invaded Belgium in 1914, Maeterlink wished to join the French Foreign Legion, but his application was denied due to his age. He and Leblanc decided to leave Grasse for a villa near Nice, where he spent the next decade of his life. He gave speeches on the bravery of the Belgian people and placed guilt upon all Germans for the war. Although his patriotism, and his indifference to the harm he was doing to his standing in Germany, do him credit, it severely damaged his reputation as a great sage who stood above current affairs. While in Nice he wrote The Mayor of Stilmonde, which was quickly labeled by the American press as a "Great War Play" and would be made into a British film in 1929. He also wrote The Betrothal, a sequel to The Blue Bird, in which the heroine of the play is clearly not a Leblanc archetype. On 15 February 1919 Maeterlinck married Dahon. He accepted an invitation to the United States. Samuel Goldwyn asked him to produce a few scenarios for film. Only two of Maeterlinck's submissions still exist; Goldwyn didn't use any of them. Maeterlinck had prepared one based on his The Life of the Bee. After reading the first few pages Goldwyn burst out of his office, exclaiming: "My God! The hero is a bee!" After 1920 Maeterlinck ceased to contribute significantly to the theatre, but continued to produce essays on his favourite themes of occultism, ethics and natural history. The international demand for these fell off sharply after the early 1920s, but his sales in France remained substantial until the late 1930s. Dahon gave birth to a stillborn child in 1925. In 1926 Maeterlinck published La Vie des Termites (translated into English as The Life of Termites or The Life of White Ants), an entomological book that plagiarised the book The Soul of the (White) Ant, researched and written by the Afrikaner poet and scientist Eugène Marais, in what has been called "a classic example of academic plagiarism" by University of London's professor of biology, David Bignell. Marais accused Maeterlinck of having used his concept of the "organic unity" of the termitary in his book. Marais had published his ideas on the termitary in the South African Afrikaans-language press, both in Die Burger in January 1923 and in Huisgenoot, which featured a series of articles on termites under the title "Die Siel van die Mier" (The Soul of the (White) Ant) from 1925 to 1926. Maeterlinck's book, with almost identical content, was published in 1926. It is alleged that Maeterlinck had come across Eugene Marais' series of articles which had appeared in the Afrikaans magazine Die Huisgenoot from 1925 to 1926, and that it would have been easy for Maeterlinck to translate from Afrikaans to French, since Maeterlinck knew Dutch and had already made several translations from Dutch into French before. It was common at the time for worthy articles published in Afrikaans to be reproduced in Flemish and Dutch magazines and journals. The famous author had paid me the left-handed compliment of cribbing the most important part of my work ... He clearly desired his readers to infer that he had arrived at certain of my theories (the result of ten years of hard labour in the veld) by his own unaided reason, although he admits that he never saw a termite in his life. You must understand that it was not merely plagiarism of the spirit of a thing, so to speak. He has copied page after page verbally. Supported by a coterie of Afrikaner Nationalist friends, Marais sought justice through the South African press and attempted an international lawsuit. This was to prove financially impossible and the case was not pursued. However, Marais gained a measure of renown as the aggrieved party and as an Afrikaner researcher who had opened himself up to plagiarism because he published in Afrikaans out of nationalistic loyalty. Marais brooded at the time of the scandal: "I wonder whether Maeterlinck blushes when he reads such things [critical acclaim], and whether he gives a thought to the injustice he does to the unknown Boer worker?" It would have been easy, in regard to every statement, to allow the text to bristle with footnotes and references. In some chapters there is not a sentence but would have clamoured for these; and the letterpress would have been swallowed up by vast masses of comment, like one of those dreadful books we hated so much at school. There is a short bibliography at the end of the volume which will no doubt serve the same purpose. Despite these misgivings, there is no reference to Eugène Marais in the bibliography. Maeterlinck's other works on entomology include The Glass Spider (1932) and The Life of the Ant (1930). Professor V. E. d'Assonville wrote about Maeterlinck as "the Nobel Prize winner who had never seen a termite in his whole life and had never put a foot on the soil of Africa, least of all in the Waterberg". Robert Ardrey, an admirer of Eugène Marais's, attributed Marais' later suicide to this act of plagiarism and theft of intellectual property by Maeterlinck, although Marais' biographer, Leon Rousseau, speculated that Marais enjoyed and thrived on the controversy the attention it generated. Another case of alleged plagiarism was that of Maeterlinck's play Monna Vanna, which was alleged to have been based on Robert Browning's little-known play Luria. In 1930 he bought a château in Nice, France, and named it Orlamonde, a name occurring in his work Quinze Chansons. He was made a count by Albert I, King of the Belgians in 1932. According to an article published in the New York Times in 1940, he arrived in the United States from Lisbon on the Greek Liner Nea Hellas. He had fled to Lisbon in order to escape the Nazi invasion of both Belgium and France. The Times quoted him as saying, "I knew that if I was captured by the Germans I would be shot at once, since I have always been counted as an enemy of Germany because of my play, The Mayor of Stilmonde, which dealt with the conditions in Belgium during the German Occupation of 1918." As with his earlier visit to America, he still found Americans too casual, friendly and Francophilic for his taste. He returned to Nice after the war on 10 August 1947. He was President of PEN International, the worldwide association of writers, from 1947 until 1949. In 1948, the French Academy awarded him the Medal for the French Language. He died in Nice on 6 May 1949 after suffering a heart attack. 1920: Grand Cordon of the Order of Leopold. 1932: Created Count Maeterlinck, by Royal Decree. However, he neglected fulfilling the necessary paper work for registration and the creation was not implemented. Maeterlinck's posthumous reputation depends entirely on his early plays (published between 1889 and 1894), which created a new style of dialogue, extremely lean and spare, where what is suggested is more important than what is said. The characters have no foresight, and only a limited understanding of themselves or the world around them. Maeterlinck, an avid reader of Arthur Schopenhauer, considered man powerless against the forces of fate. He believed that any actor, due to the hindrance of physical mannerisms and expressions, would inadequately portray the symbolic figures of his plays. He concluded that marionettes were an excellent alternative. Guided by strings operated by a puppeteer, Maeterlinck considered marionettes an excellent representation of fate's complete control over man. He wrote Interior, The Death of Tintagiles, and Alladine and Palomides for marionette theatre. From this, he gradually developed his notion of the "static drama." He felt that it was the artist's responsibility to create something that did not express human emotions but rather the external forces that compel people. Maeterlinck once wrote that "the stage is a place where works of art are extinguished. ... Poems die when living people get into them." Othello is admirably jealous. But is it not perhaps an ancient error to imagine that it is at the moments when this passion, or others of equal violence, possesses us, that we live our truest lives? I have grown to believe that an old man, seated in his armchair, waiting patiently, with his lamp beside him; giving unconscious ear to all the eternal laws that reign about his house, interpreting, without comprehending, the silence of doors and windows and the quivering voice of the light, submitting with bent head to the presence of his soul and his destiny—an old man, who conceives not that all the powers of this world, like so many heedful servants, are mingling and keeping vigil in his room, who suspects not that the very sun itself is supporting in space the little table against which he leans, or that every star in heaven and every fiber of the soul are directly concerned in the movement of an eyelid that closes, or a thought that springs to birth—I have grown to believe that he, motionless as he is, does yet live in reality a deeper, more human, and more universal life than the lover who strangles his mistress, the captain who conquers in battle, or "the husband who avenges his honor." It is no longer a violent, exceptional moment of life that passes before our eyes—it is life itself. Thousands and thousands of laws there are, mightier and more venerable than those of passion; but these laws are silent, and discreet, and slow-moving; and hence it is only in the twilight that they can be seen and heard, in the meditation that comes to us at the tranquil moments of life. ‘’Our Friend the Dog’’Dodd,Mead &Company, Reprinted Simon and Schuster 1943. The 100th anniversary of Maurice Maeterlinck's greatest contemporary success, his play The Blue Bird, was selected as the main motif of a high-value collectors' coin: the Belgian 50 euro Maurice Maeterlinck commemorative coin, minted in 2008. ^ Spelled Maurice (Mooris) Polidore Marie Bernhard Maeterlinck on the official Nobel Prize page. ^ Maeterlinck, Maurice in Encyclopædia Britannica. ^ Jean-Marie Pierret, Phonétique historique du français et notions de phonétique générale, 1994. ^ Bettina Knapp, Maurice Maeterlinck, Boston: Thackery Publishers, 1975, p. 18. ^ Gale, Thomson (1 March 2007). "Dictionary of Literary Biography, Volume 331: Nobel Prize Laureates in Literature, Part 3: Lagerkvist-Pontoppidan". Gale / Cengage Learning – via Google Books. ^ a b Knapp, 87–92. ^ "The Banning of Bergson". The Independent. 20 July 1914. Retrieved 21 August 2012. ^ "The official website of the Nobel Prize - NobelPrize.org". NobelPrize.org. ^ "Die Huisgenoot", Nasionale Pers, 6 January 1928, cover story. ^ a b David E. Bignell. "Termites: 3000 Variations On A Single Theme". Archived from the original on 27 August 2007. Retrieved 28 July 2009. ^ a b Sandra Swart (2004). "The Construction of Eugène Marais as an Afrikaner Hero". Journal of Southern African Studies. December (30.4). Archived from the original on 8 March 2010. ^ a b c V. E. d'Assonville, Eugene Marais and the Waterberg, Marnix, 2008, pp. 53–54. ^ L. Rousseau, 1974, Die Groot Verlange, Capetown: Human & Rousseau, p. 398. ^ Robert Ardrey, The Territorial Imperative: A Personal Inquiry into the Animal Origins of Property and Nations (1966). ^ Leon Rousseau, The Dark Stream, (Jonathan Ball Publishers:Cape Town, 1982). ^ William Lyon Phelps, PhD, "Maeterlinck and Browning", Vol.55 No.2831 (5 March 1903) The Independent, New York. ^ Joris Casselman, Etienne De Greeff (1898–1961): Psychiatre, criminologue et romancier.9. "Maurice Maeterlinck (1862–1949). 9.1 Sa vie et son oeuvre" . Bruxelles : Larcier, DL 2015 ISBN 9782804462819 Primento Digital Publishing , 2015 e ISBN 9782804479831. ^ RD 12 January 1920. ^ "Drama—Static and Anarchistic", New York Times, 27 December 1903. ^ Peter Laki, Bartók and His World, Princeton University Press, 1995, pp. 130–31. Wikimedia Commons has media related to Maurice Maeterlinck. Edward Thomas. 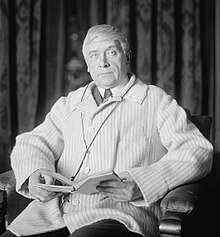 Maurice Maeterlinck (biography). Contents Page.